climb it and shoot frisbees! 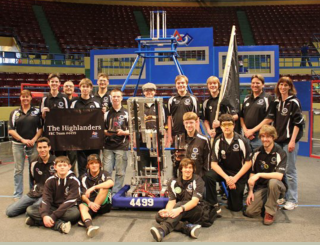 The Highlanders are proud to introduce our 2013 robot Immortal - our rookie year. The Highlanders had an amazing season participating in 2 regionals and The Houston World Championship. 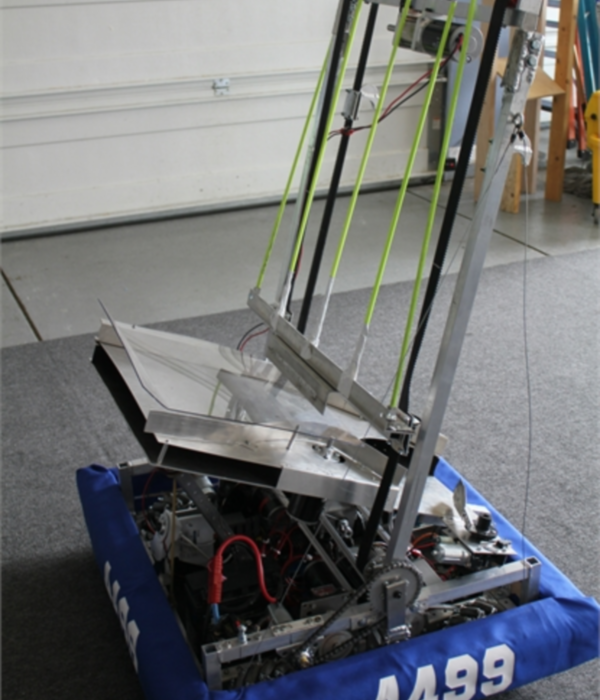 The Highlanders designed a a robot that could climb to the second level of the pyramid and a frisbee shooter. ULTIMATE ASCENTS is played by two competing alliances on a flat, 27 x 54 foot field. Each Alliance consists of three robots, and they compete to score as many discs into their goals as they can during a two (2)-minute and fifteen (15)-second match. The higher the goal in which the disc is scored, the more points the Alliance receives. The match begins with a fifteen (15)-second Autonomous Period in which robots operate independently of driver inputs. Discs scored during this period are worth additional points..
Our 2013 season was amazing! We attended 2 regionals and the World Championship. This was our rookie season! We decided to build a climber to go to the 2nd level of the pyramid. And, we made a frisbee shooter. We learned that our first designs were not always the best! For our rookie year, being able to climb a pyramid was crazy.